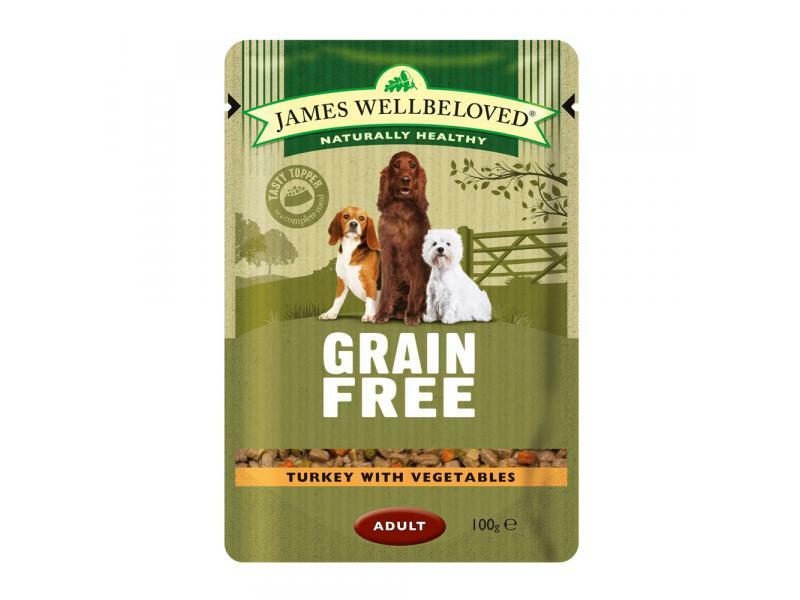 James Wellbeloved Adult Grain Free Turkey & Vegetable is a wholesome and natural hypo-allergenic dog food for loose bowels and for calming itchy and irritated skin. 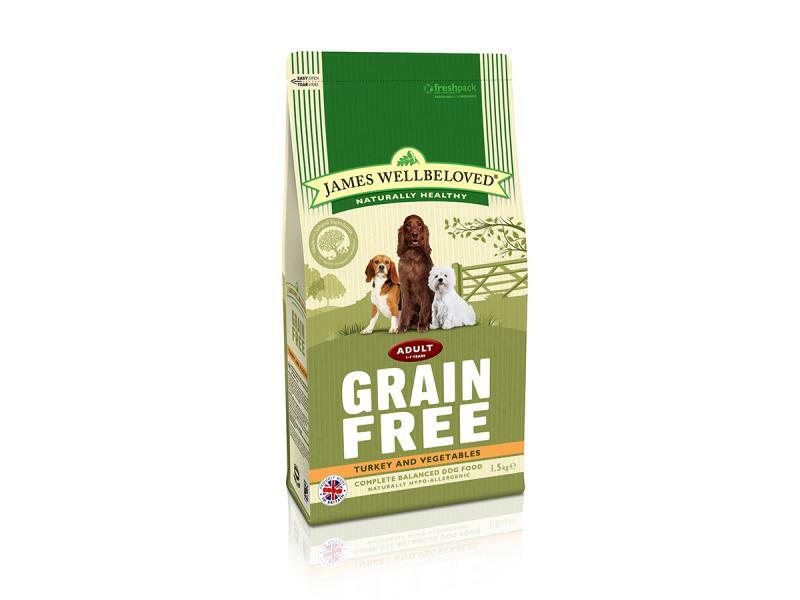 Suits all dogs, including those with the most fussy of appetites. It contains a specially selected protein source of turkey and certain carbohydrate sources of pea and potato making it a dietetic food which is excellent for the reduction of ingredient and nutrient intolerences. Turkey meal (25.5%), pea starch (25.4%), potato flakes (25.4%), tomato pomace (5.1%),turkey fat (4.2%), whole linseed, turkey gravy (2.9%), peas (2.7%), alfalfa meal, carrots, seaweed (0.5%), chicory pulp, pea fibre, omega supplement*, potassium chloride, sodium chloride, parsley (0.125%), nettles (0.125%), chicory extract (0.1%),taurine (0.1%), calcium carbonate, glucosamine (0.045%), yucca extract (0.02%), chondroitin (0.005%). Protein 21.5 %, crude fibres 4.3 %, fat content 10.5 %, crude ash 7.6 %, Vitamin E 150 mg/kg, omega-3 fatty acids 1 %, omega-6 fatty acids 2.7 %. 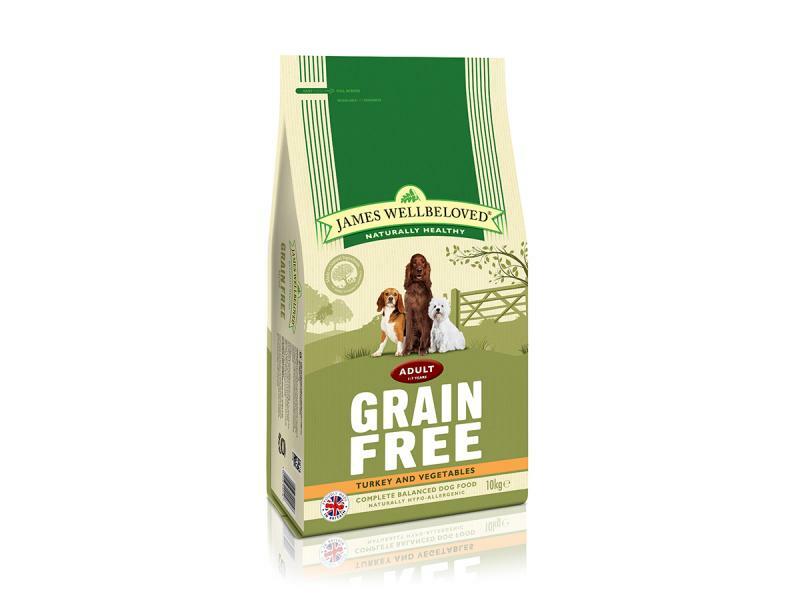 There are currently no questions for James Wellbeloved Adult Grain Free Turkey & Vegetable Dog Food - be the first to ask one!